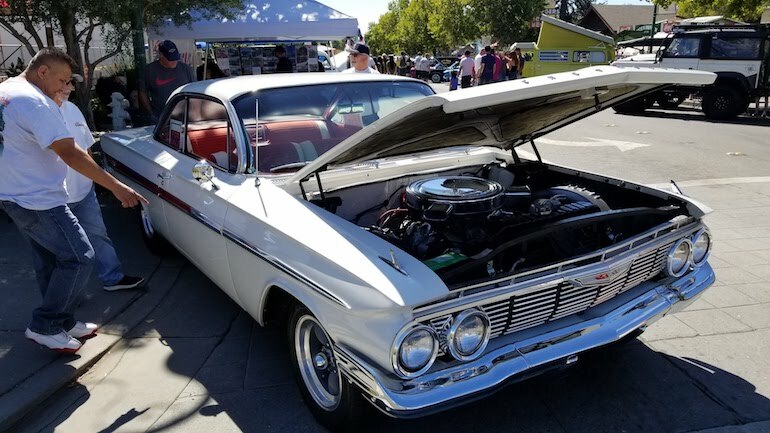 Cloverdale’s Classic Car and Motorcycle Show Saturday displayed this highly desirable 1961 409 Chevrolet Belair SS. This bubble top is a genuine survivor car with minimal mods. 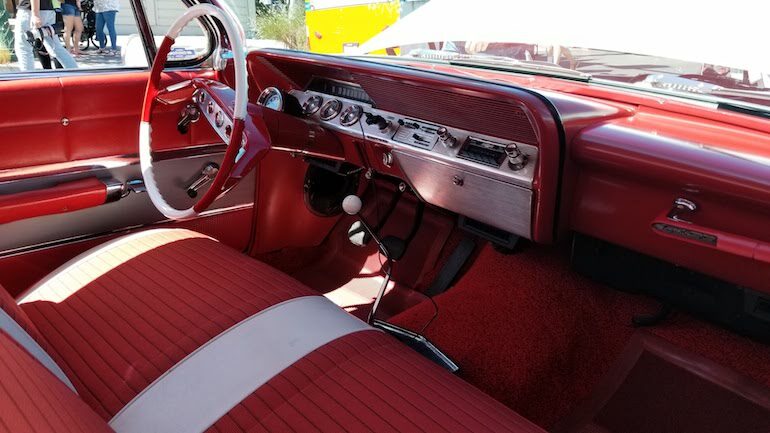 Paint, upholstery, body panels and engine are all perfectly preserved and where restoration has been applied, it is period correct. I met the owner of this 61 classic and he is reluctantly selling his favorite ride. This 409 is very rare. A 1961 with dual 4 barrel carbs and one of only 142 SS 409s of that year. Many at the show loved the original appearance of this 61 bubble top, and eyes popped when they saw the 409 big block. 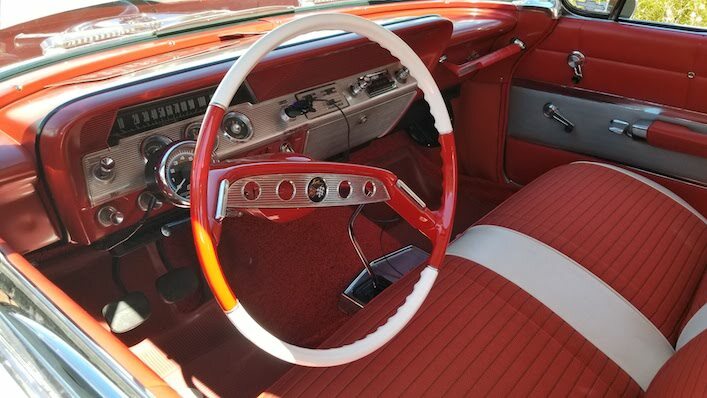 Interior of this Super Sport 61 Chevrolet is perfect. Notice the passenger grab handle which was part of the SS upgrade package. Manual transmission ensures the power of this 409 is sent directly to the rear wheels. Body panels are straight and perfectly fitted as shown by the smooth shadow lines in this image. Badging and paint is perfect. Engine bay is presented with upgraded alternator and airconditioning. 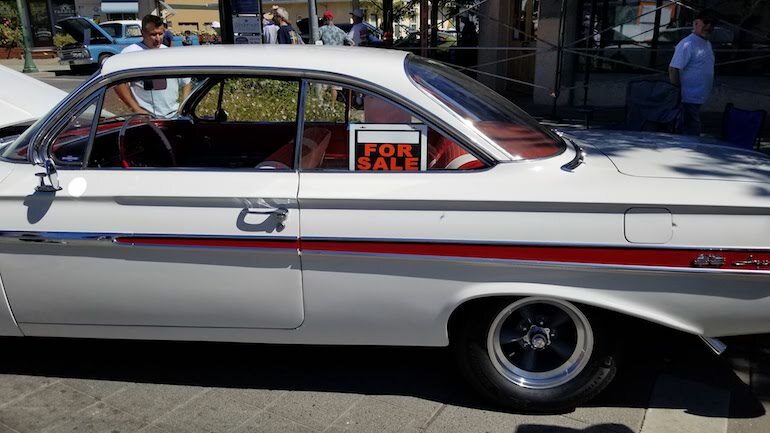 This beautiful bubble top 1961 Chev is for sale by the advertiser! Contact us today at Tel: 707 843 9965 to learn more about this ride today. “This is a rare ’61 Impala Super Sport. 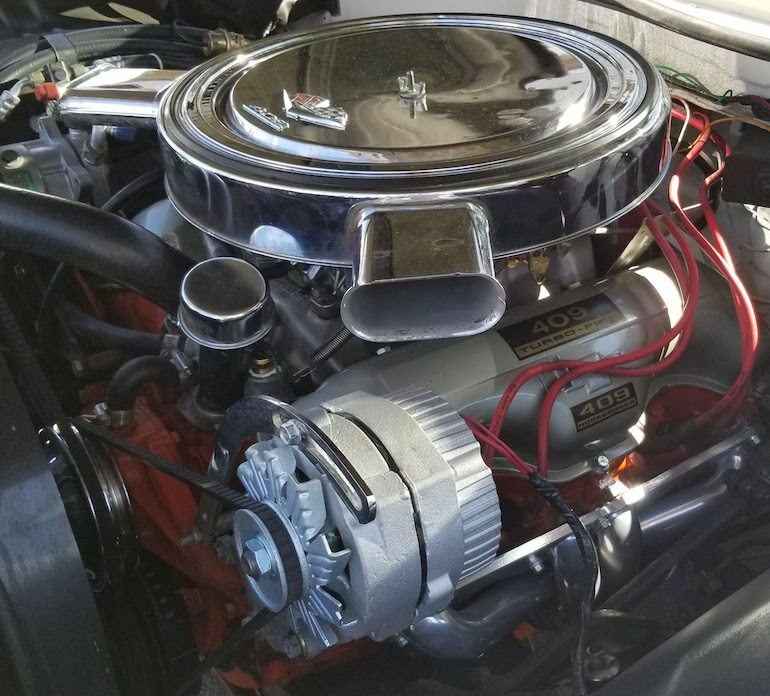 Only 144 “409” Super Sports built in ’61. 453 total Super Sports built in 1961 with 348 and 409 engines only. Experts say only about 40 are still driving around US and Canada. This is one of those 40. Rare and in very stock or original condition. Hasn’t been customized as some are being sold currently online. This is more desirable to people that know these Impalas. The engine is a 1962 409 built by Lamar Walden Engineering. 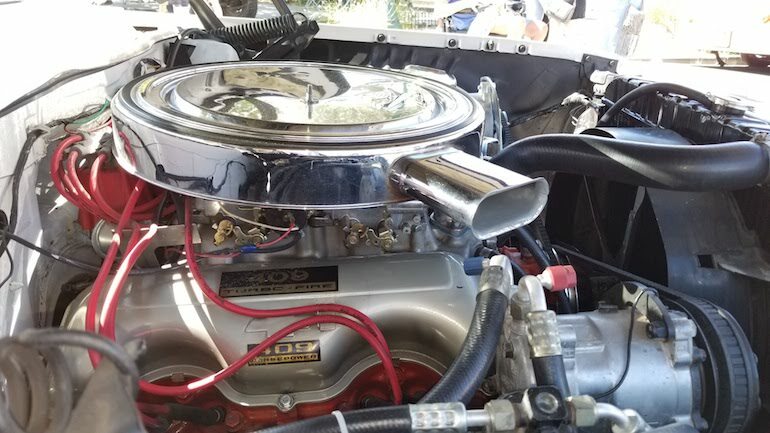 Rebuilt in 2017-18, 4-speed transmission, complete suspension, new springs, Teflon Bushings, shocks, brakes, tires, complete exhaust system, upgraded radio “have original”, and 3.73 gears. Drives like new. Great on highway and runs super strong. 16,000 on new build.” Bruce.